Travel Insurance Services is a national insurance brokerage company that was established in 1973. Located in Columbus, Ohio, TIS provides temporary insurance solutions to international travelers, groups, organizations, and businesses. It is a member company of USI Holdings Corporation, the third largest privately held insurance agency in the United States according to the Insurance Journal. 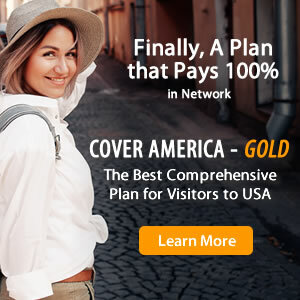 TIS has designed and administered innovative coverage for travelers, including the first successful individual visitor's travel medical insurance policy for temporary residents and international travelers who would otherwise be uninsured for medical emergencies while visiting the United States. TIS also offers trip cancellation insurance to give travelers peace of mind when planning their next vacation. Expert Reviews Why Trust this Review? The policies offered by Travel Insurance Services are designed for students, seniors, visitors to the US, and corporate employees and executives. TIS will customize a plan for groups exceeding 100 people, groups that travel on a regular basis, or groups that plan to travel for a period of 6 months or longer.